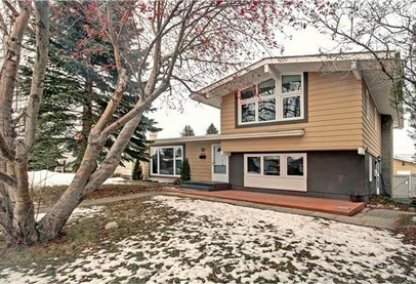 See the newest Maple Ridge homes for sale in Calgary! Maple Ridge is a neighborhood in South Calgary, Alberta, Canada, which is similar to the other golf communities in the area. The Maple Ridge Golf Course, an 18-hole municipal links developed in the Bow River Valley, bound its southern and eastern perimeter. Additionally, the Willow Park Golf and Country Club, a private 18-hole course, lies west of Maple Ridge's residences. Schedule a home tour with your Maple Ridge Calgary real estate agents! Maple Ridge housing market statistics: As of April 22, 2019 there are currently 10 properties for sale in Maple Ridge listed as active, with an average asking price of $586,110. The highest-priced property is $775,000; the lowest priced property can be purchased for $449,999. Maple Ridge neighbourhood listings have an average price of $415 per square foot, based on listings with 4.1 bedrooms, 2.9 baths, and 1,474 square feet of living space. Thinking of selling or buying a home in Maple Ridge Calgary? Call Justin Havre at RE/MAX First - 403.217.0003. Our community of Maple Ridge real estate agents will help you navigate the Maple Ridge housing market in Calgary. A part of the Willowridge locality, Maple Ridge and its adjacent community, Willow Park, became an annex of Calgary in 1956. Development of the area, however, only began sometime during the mid-1960's. Transit to and from the Maple Ridge subdivision is facilitated by Deerfoot Trail and Southland Drive, which are on the eastern and northern peripheries of the community, respectively. 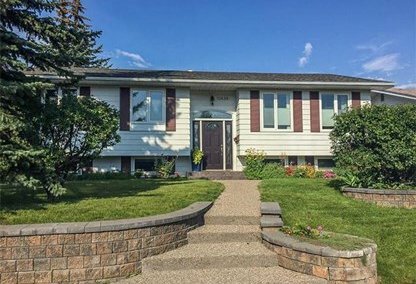 Due to its prime location and the invigorating ambience in the neighbourhood, Maple Ridge homes for sale are among the most sought-after in the Calgary real estate market. This neighborhood is exclusively composed of detached, single-family homes. A greater proportion of these homes are private residences; only 6.1 percent of houses in this neighborhood can be rented. The gorgeous features of its residences complement the superb character of this community. With their fine construction and elegant architectural finish, available Maple Ridge real estate can be quickly snapped by home buyers at prices ranging from the $400s up to the $600s. In addition to residential use, commercial and recreational land uses were pursued in the Maple Ridge neighbourhood as well. The resulting development, hence, saw the availability of many local amenities, such as those at the nearby Southcentre Mall, Willow Park shopping village, Southland Mall, the Family Leisure Centre, and Fish Creek Provincial Park. Public and separate schools have also proliferated in the community. Maple Ridge and Willow Park share a neighborhood association which manages the community hall and such facilities as tennis courts and a skating rink. It also actively promotes and provides such community activities as youth soccer and fitness training. Looking to buy or sell a home in Maple Ridge Calgary? Let our team of expert real estate agents help you navigate the search for your next home and negotiate the sale of your existing home. As neighbourhood Maple Ridge real estate agents, we know the dynamics unique to the Maple Ridge real estate market. We'll help guide your search today! Contact Justin Havre at RE/MAX First - 403.217.0003 to find out more about buyer or seller representation. Selling your Maple Ridge home soon? Check out our free home evaluation, where you can view Calgary Homes Values online in minutes!